Bill Joyce has helped people find solutions to environmental problems since 1985. He represents local and national corporations, individuals and public entities in a wide variety of environmental cases. His practice includes all areas of environmental law, with a special emphasis on the purchase, sale, and redevelopment of brownfield properties, defense of natural resource damage claims, cleanup cost recovery, regulatory strategic advice, and complex soil, groundwater, and sediment remediation. In his thirty years of environmental legal practice, Bill has worked with many of the region’s leading development, environmental consulting, geotechnical and civil engineering firms and has forged strong working relationships with federal, state, and local regulators. 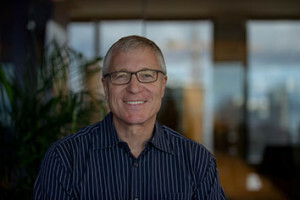 Bill has also been a professional mediator with Washington Arbitration and Mediation Service since 1989 and has successfully mediated hundreds of environmental cases including Clean Water Act litigation, mining sites, multi-party cleanups, complicated insurance coverage actions and a wide range of other disputes. Bill is admitted to practice in Washington and Oregon. Bill enjoys kayaking, fly fishing, mountain biking, skiing, and just about any other outdoor activity.